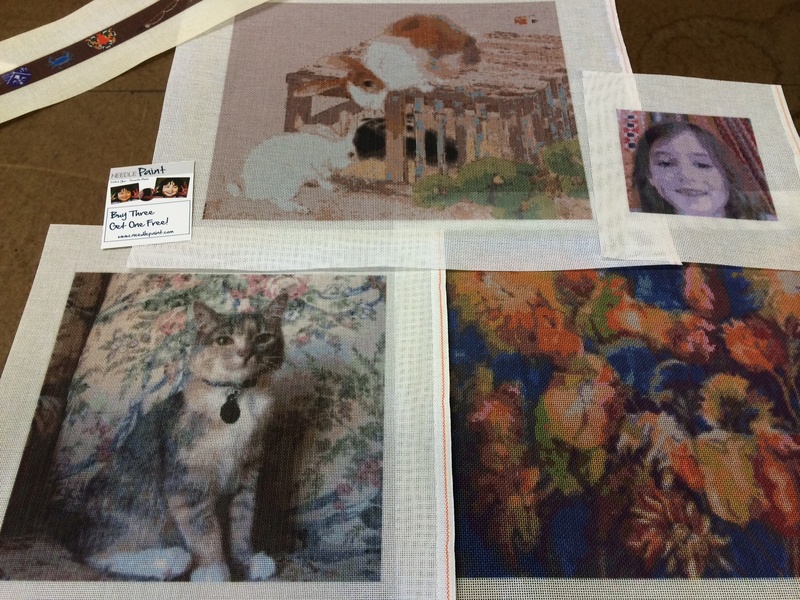 This week we had some challenges that made some really beautiful needlepoint kits! The coat of arms, we had to do a little research but I think we nailed it. Famous quotes are always fun, one was a great one with Winnie the Pooh, the other is from Louisa May Alcott. 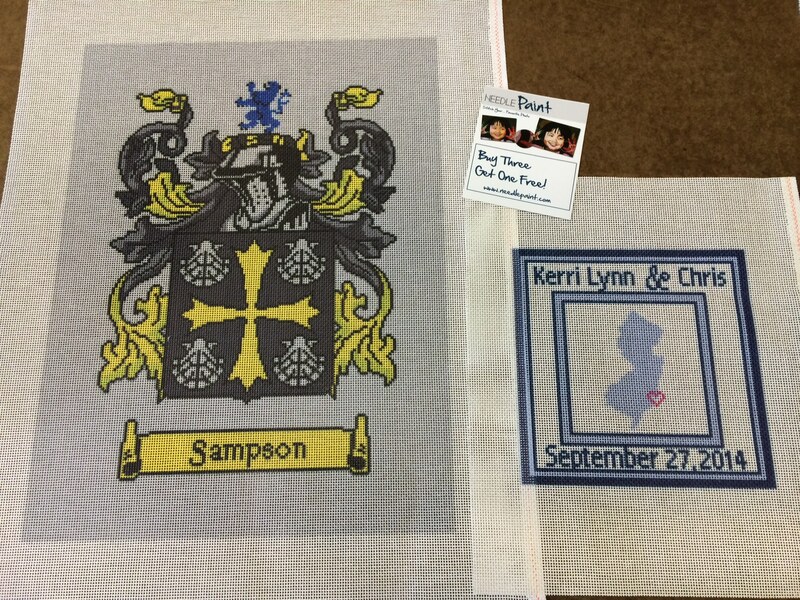 This picture is taken along with our geometric heart needlepoint canvas in the picture below. 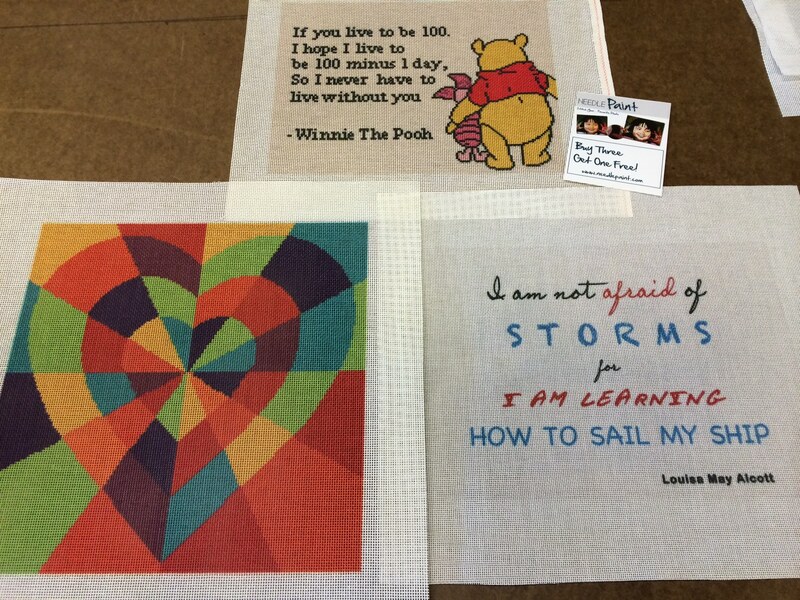 And last but not least, some more really pretty needlepoint kits! 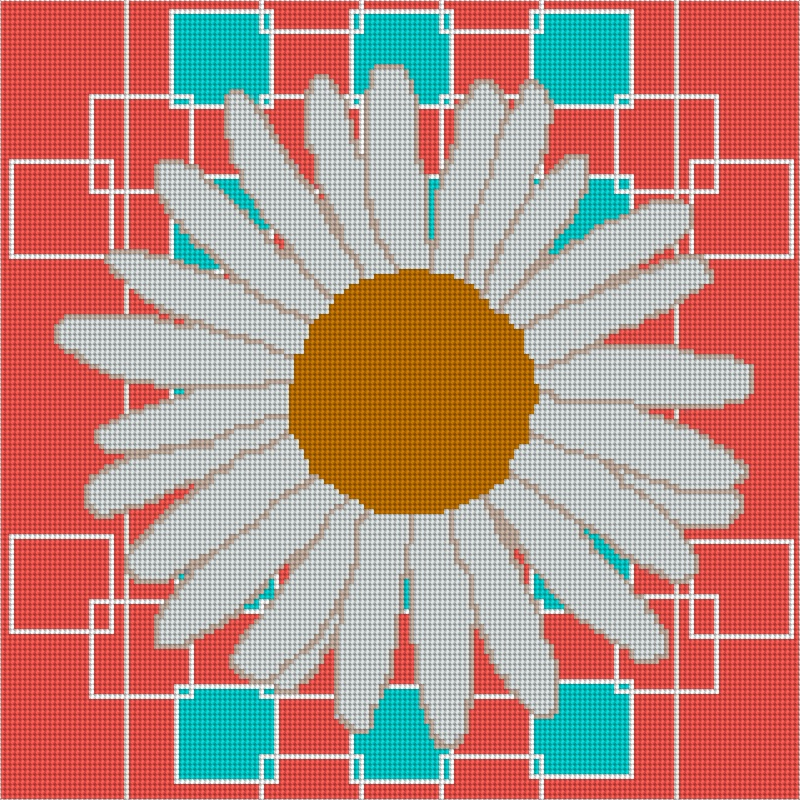 Check out our new summery, colorful, and fun new design, the Daisy Needlepoint Pillow Kit! The design was inspired by the great summer weather and beautiful wildflowers that are now abundant in Colorado. This design is perfect to brighten up a sun room or add a summer spin to anything! This design is now available on our website. 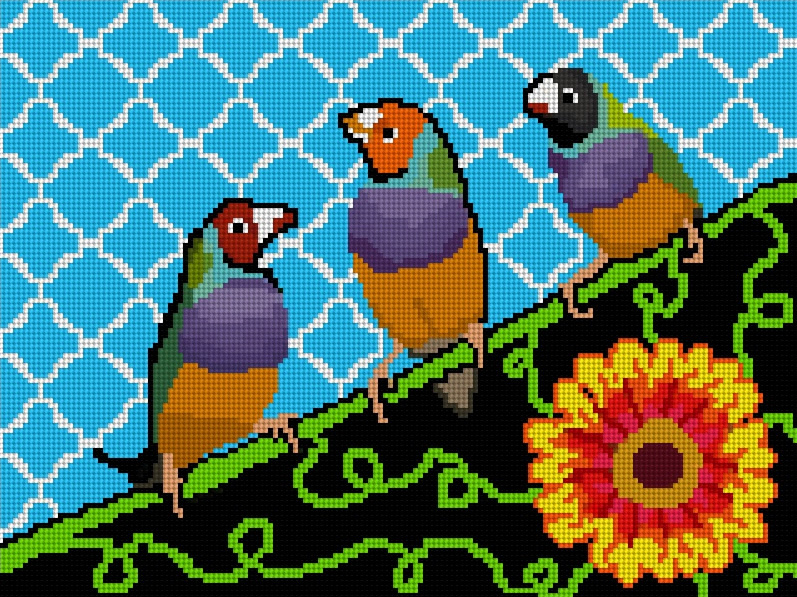 Our new Three Birds Needlepoint Pillow is perfect to brighten up any room in your home. This design was inspired by many different tropical birds and tropical flowers, so there is definitely no lack of colors in this needlepoint pillow. This is a great project for any age and makes a great gift, no matter what the occasion. This pillow is now available on our website!